Eastern Europe is still an unexplored winter destination, offering stunning landscapes, versatile terrain and plenty of untouched powder. It’s quickly gaining respect among skiers and snowboarders from all over the world. Competitive prices, as well as Western standard of lodges, helicopters and guiding services. Ask our experts about the advantages of trips to destinations like Macedonia, Romania, Georgia and more. Call LUEX! Think you know European skiing and snowboarding? Think again. Eastern Europe is home to vast, unexplored terrain and some of the best powder stashes on the continent. Offering affordable prices and a unique culture, but with the comforts of Western-style lodges and facilities, it won’t be long before Eastern Europe is one of the world’s top skiing and snowboarding destinations and LUEX can take you there before everyone else. Ski resorts and ski trip providers are popping up all over Eastern Europe from the Ukraine, to Poland, Romania, Georgia and Macedonia and LUEX offers trips to some of the best new places. 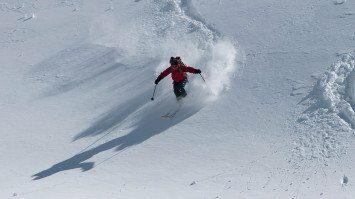 Whether you choose a trip to the Caucasus region of Georgia or the Fargaras Mountains of Romania, you’re sure to find highly versatile terrain with steeps, tree runs, cliffs, glacier skiing and lots of open chutes and snowfields. 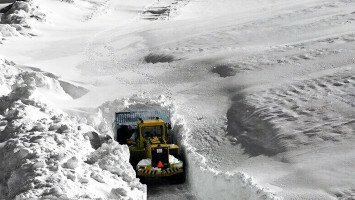 Many areas of Eastern Europe receive more annual snowfall than the Alps with 10 to 15 meters a year on average. On an Eastern Europe ski trip, you might want to spend every minute taking advantage of the wide open slopes but don’t pass up an opportunity to learn about the unique cultures of your destination country in Turkey, Romania, Georgia or Macedonia, an exotic locale that is unfamiliar to many and offers a chance to experience the traditions of an ancient culture. From trying new foods to exploring charming villages, there’s plenty beyond the slopes in Eastern Europe. than great terrain and cheap prices? How about short flights too? Most ski trip locations in Eastern Europe are located just a few hour plane flight from central and Western Europe, making travel quick, easy and convenient for skiers and snowboarders who want to enjoy a short-duration ski trip. 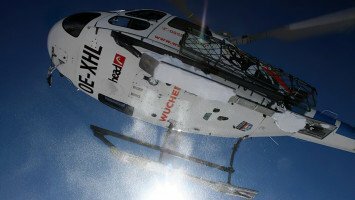 We offer heliskiing and snowcat ski trips in Eastern Europe, including a trip with Europe’s only snowcat operator. 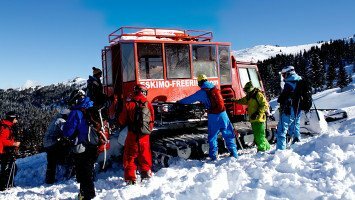 One of our most popular trips is the Eskimo Snowcat Freeride trip, a chance to explore untracked terrain, at budget prices and from the convenience of a snowcat. 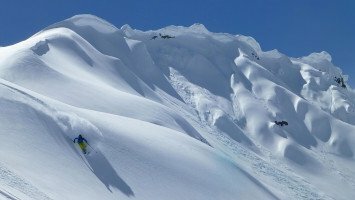 Other unique trips include the Heliski Romania trip offering a chance to ski or snowboard with 2-time world snowboarding champion Martin Freindemetz, for an affordable medium-priced trip. 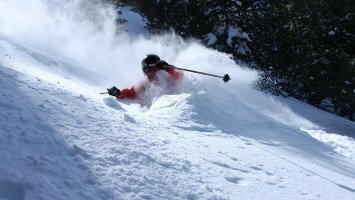 Though heliskiing and catskiing may be less developed in Eastern Europe than in other parts of the world, you can rest assured that you’ll be led by highly trained guides following European standards and safety requirements. Our Eastern Europe ski and snowboard trips are perfect for travelers on a budget, with several trips in the medium price range, and a luxury and budget trip option as well. Skiing in this region is best suited for families, couples, solo travelers and groups, but if you like steep slopes and to ski or ride with like-minded powder hounds; we have something for you too. What are you waiting for? Check out our awesome and affordable Eastern Europe ski and snowboard trips today and get ready to experiences one of the world’s undiscovered skiing paradises.